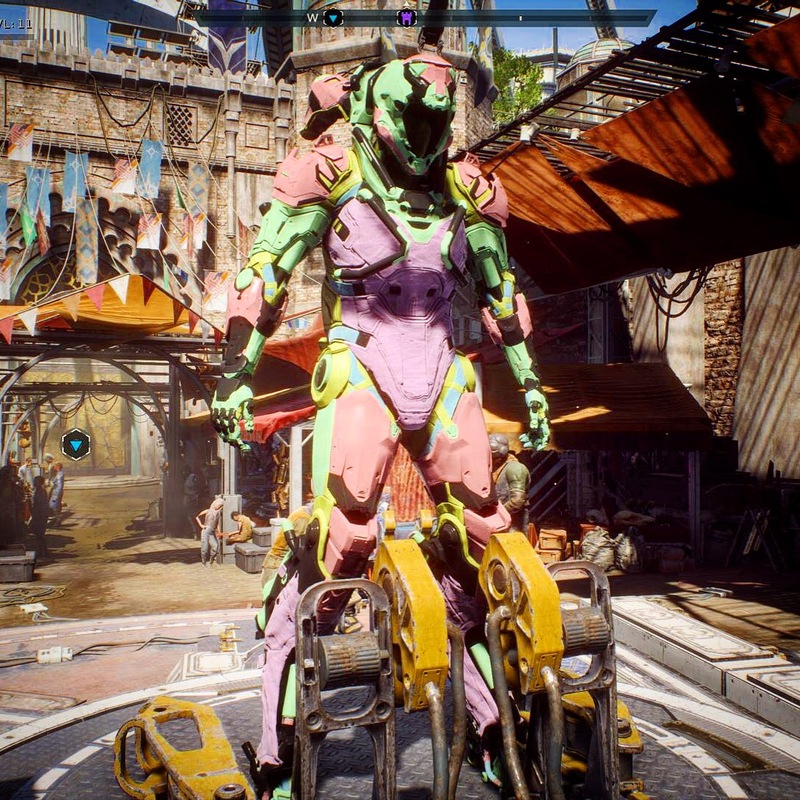 I was intending to come back to my blog with posts about the use of Ai in game animations, diversity in gaming and sustainability in virtual entertainment, but no it is Anthem that has brought me back..
I’m actually having withdrawal issues after experiencing the ‘VIP’ demo weekend, and well done to the marketing team at Bioware for naming it as such, thus causing a near riot on the internet as people tried to access this ‘exclusive’ content.. had they called it a technical test beta, I’m not sure it would have had the same effect 😉 but hey I’m just a gaming enthusiast.. I actually don’t know where to start when discussing this experience because it’s something so new and different that I feel as if I’m on the cusp of something that will completely change me, and the gaming world. I don’t say that lightly either, especially after watching numerous Twitch streams and seeing the effect it has had on other gamers. I’m not sure what kind of black magic they weaved into the game development but I’ve never seen so many gamers having to take layers of clothing off in the middle of winter because they were getting hot from the excitement of gameplay. Twitch was brought to a standstill as the number of concurrent streamers outperformed Fornite, people were calling their mates on stream and telling them to get into the game, previously anti-EA gamers were pre-ordering the collectors edition, there were after parties, Anthem withdrawal therapy streams and round-table discussions. Needless to say the developers were very happy, they even went on to say that they were ‘humbled’ by the response. So well done Bioware, we always loved you..